Moviegoers are experiencing a heavy dose of history by watching the recently released film, “Valkyrie,” starring Tom Cruise. A more poignant and important film (perhaps entitled “The Beck Gambit”) would have been one that focused not on the dramatic events of July 1944, but on the potential titanic possibilities in fall, 1938. This is even more important as a new administration takes office while international relations are not on the front burner for most Americans. If the message of “Valkyrie” is about the nobility of self sacrifice, even in defeat, the message of “The Beck Gambit” would be about the price paid for the moral cowardice of appeasement. While much has been written about appeasement increasing Hitler’s appetite for conquest, little is discussed about the true price of appeasement as a cause for the continuance of the Nazi regime, genocide and destruction. By May, 1938 a group of Germans within the Army, Foreign Office and intelligence services had come to the decision that Hitler and the Nazi regime must be overthrown. This part of the German resistance was not the dissenters, protestors, student activists, or religious figures that often had great qualms against violence. This group, which we can call the “sword resistance,” was primarily made up of Christian conservative nationalists who differentiated between treason against the government, which they knew they were committing, versus treason against Germany and the German people; the loyalty they had to Germany justified treason against the Nazis. In an amazing memorandum, Chief of the General Staff, General Ludwig Beck, wrote in 1938, “Your military duty to obey [orders] ends where your knowledge, your conscience and your responsibility forbids the execution of an order.”We might remember that the American revolutionaries made parallel arguments in the Declaration of Independence. There is a higher duty to God and righteousness than any manmade construct. These men, motivated by honor, duty, and obligation, created a plan to dismantle the Nazi regime by using the German army to take over the country and neutralize the SS. This anti-Nazi opposition made numerous attempts to inform the British and French governments of their plans, asking only that they take a strong stance with Hitler over the issue of Czechoslovakia. The success of the coup was based entirely on the threat of war that the officers thought would come from the West. This would prove that Hitler had overplayed his hand, plunging Germany into a foreign-policy disaster. Hitler had assumed the West’s surrender and their profound weakness caused by a psychology of victimization, fear, and an inward focus on their own economies. This had all been paved by a drumbeat of bloodless victories by Hitler starting with the withdrawal from the League of Nations in 1933 (akin to withdrawal or ignoring of U.N. or other international agreements today), the unilateral rejection of the disarmament in 1935 (similar to the research, development or sale of WMD today), the remilitarization of the Rhineland in 1936 (likened to spending on military modernization when other aspects of your country are in poverty), and the annexation of Austria in 1938. We have witnessed the same pathway for the West regarding Iraq in the late 1980s, Al Qaeda throughout the 1990s and Iran and North Korea today. Hitler, like modern-day tyrants, played both the belligerent and the peacemaker when it served his interests. Similar to the 1930s, today’s leaders in the West question their own systems, values and civilization. The prospect of war was a greater horror than the prospect of evil or the protection of innocent lives. The arguments about saving lives in the short run ended up costing the lives of millions in the long run. It was perhaps, one of the most colossal failures in all of human history. The debate of whether or not the British and the French governments believed that the opposition could pull it off is irrelevant to the systemic policy of appeasement that was conducted. The Western acceptance of the dismemberment of Czechoslovakia ensured the abject failure of the one attempt that had the greatest amount of success to rid the world of Hitler and Nazism. Had the allies stood up to Hitler, the resistance would have removed him from power. The result of this is beyond calculation, but it is not without credibility to suggest that there would have been no Second World War, no Holocaust and no Soviet enslavement of Eastern Europe. As we usher in a new chapter for American foreign policy, the new policy makers should take a long hard look at the consequences for weakness. Dr. Lamont Colucci, a former diplomat with the State Department, is assistant professor of politics and government at Ripon College. Everyone has it wrong, there has been, and there is a clear and distinct Bush Doctrine. There has been much made of the interview between ABC’s Charlie Gibson and Gov. Sarah Palin where Mr. Gibson defines the Bush Doctrine as “anticipatory self defense.” The Huffington Post calls it a “six year old U.S. policy of military preemption.” These are at best sophomoric answers to complex policy. In an article in the Washington Post, defender of the doctrine Charles Krauthammer retorted that although “there is no single meaning” it evolved into four distinct meanings. This ignores the very heart and soul of the doctrine. The Bush Doctrine has a very clear set of principles that are bound to each other like a strong rope. Take one strand away, and the whole thing falls apart. However, the bedrock of the Doctrine rests on the president’s firm commitment to natural law, the very foundation of this republic. Without the American Founders’ conception of natural law, our Revolution would be nothing more than part of a laundry list of petty rebellions and insurgencies that changed one government for another. Without the same concept of natural law, our foreign policy would be nothing more than part of the cynical realism that dominates all other great powers. This is what differentiates Americans, American foreign policy, and our reaction to 9/11. This Americanism is the core of the Bush Doctrine and is the ultimate legacy that will dominate American discussion of foreign policy for this entire century. It is easy to suggest, and convenient to believe, that president Bush’s adherence to natural law principles in foreign policy is merely an expedient fig leaf to pursue cold hard realism and national interests. It is easier to merely caricature them. The overwhelming evidence points to a complete national security strategy that grounds itself in the founding of the republic and uses as its touchstone the values of the American Revolution. The four precepts of the Bush Doctrine — preemption, prevention, primacy and democracy promotion — all rest on the legitimacy of that foundational event. Rooted in beliefs of American exceptionalism, manifest destiny, liberation, rollback, and fervent anti-communism, the Bush Doctrine anchors all of these concepts in a belief in the absolute values of liberty. President Bush posed a clear choice to the world between tyranny and the “non-negotiable demand of human dignity” for all people, which is the Bush Doctrine’s favorite theme. It is at this crossroads that America finds itself. The Bush Doctrine created a zero-hour in American foreign policy, liberating us from the chains of scornful realism and fantasy liberalism. The ultimate legacy of the Bush administration rests here. It is at this crucial juncture in American history that liberals and conservatives, Democrats and Republicans can forge common ground. It is the clarion call not to turn back from the strong melding of American values and American foreign policy forged into the sword and shield of universal natural law. 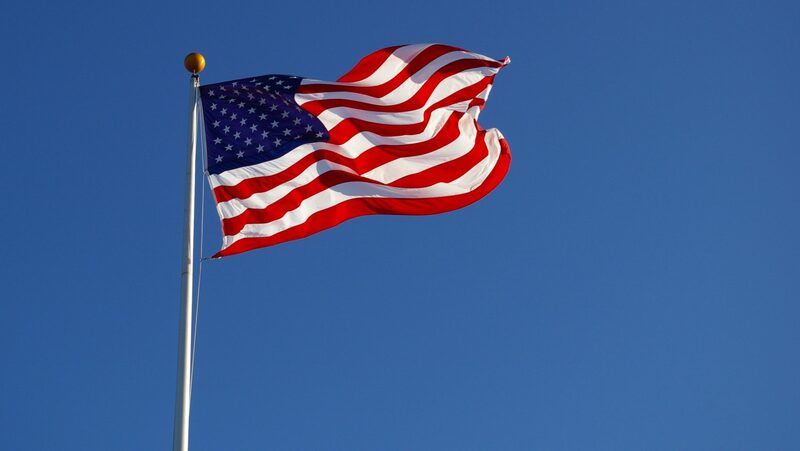 It is the American belief in the inherent dignity of the human spirit, where all humankind are to be allowed the freedom to practice their God-given liberties of life, liberty, and estate free from the fear created by the tyranny of extremist groups like al Qaeda or from rogue regimes like Iran. The rising star of American independence rested on the foundation that liberty under law was the natural extension of the creator’s wishes, and that those who oppose liberty, oppose the natural order itself. This is the view that America represents a universal nation the actual manifestation of natural law and natural rights of freedom under the law. This legacy of the Bush Doctrine, fundamentally resting on the beliefs of the Declaration of Independence, can and should be the basis of American foreign policy in perpetuity. Lamont Colucci is a former foreign service officer at the State Department and is an assistant professor of politics and government at Ripon College. In 1853, an American naval squadron with lead ships Susquehanna and Mississippi steamed into Tokyo Bay and anchored off of Uraga. This event, set into motion by a never remembered president, Millard Fillmore, and led by a famous American naval officer, Matthew Perry, created the terms for a complex and symbiotic relationship that no other two countries share. The intellectual cry of the Japanese reformers of the 19th century, a direct result of this American opening, was bunmei kaika (civilization and enlightenment), whose central tenet was the westernization and modernization of Japan, the mania of which almost replaced the Japanese language with English. If we fast forward to 1990, former National Security Advisor Zbigniew Brzezinski advocated the creation of “Amerippon” to create a special strategic and economic partnership between the United States and Japan whose economic clout, based on control of 40 percent of the world’s GDP, could be fully realized. The new American administration can make all of this a needed reality. In light of the media obsession with the economic downturn, the war in Iraq and the flavor of the month, we often forget that the stability of the international system is determined on longstanding relationships and strategic planning. One way we can address this economic crisis is to use this opportunity to push for a U.S./Japan Free Trade Agreement (FTA) – lost in an election dominated by domestic economics was any real discussion of trade and its interdependence with diplomacy. President-elect Barack Obama can explode the fear among world leaders that he is a closet protectionist by making his flagship foray into international trade waters the U.S./Japan FTA. He can further reassure a critical ally that the United States is ever more committed to the U.S./Japan military and political alliance by demonstrating leadership in this area of economic diplomacy. No country has been more open to American culture and soft power outside of Europe and Canada than Japan (perhaps more so). America has 11 FTAs with 17 countries (two of them Pacific Rim countries, Australia and Singapore) and a recently negotiated agreement with South Korea. Japan has pursued most of her FTAs with Asian countries, but the recently negotiated agreement between the U.S. and South Korea sent a jolt throughout Japan similar to the shock they received over NAFTA. These fears cut to the heart of Japanese trepidation, especially regarding the United States and isolationism, neglect and abandonment. If Japan wishes to avoid this, and in particular if she wants to compete with China for political and economic influence, she will encourage the creation of “Amerippon.” Her most difficult constraints are her xenophobic agricultural lobby, lack of consistency from government ministries, and a deficiency of transparency. The U.S. can only commit to an FTA if it is comprehensive. However, it will take political leadership in Washington for the Japanese to create the political will to overcome their obstacles. The incoming Obama administration can make this a top priority, especially in light of the world economic crisis. Studies indicate that the current trade between the U.S. and Japan of $200 billion would be exponentially enhanced. If 10 percent of the service sectors were liberalized, Japan would gain $130 billion and the U.S. $150 billion. If 30 percent were liberalized, the total enhancement would be $350 billion. This kind of agreement is real diplomacy with a real ally. It bolsters the Mutual Security system, cross-cultural relations, and widens the door for military, political, and technological cooperation and partership. One cannot divorce political from economic diplomacy, and the majority of advocates for the FTA ignore these other factors. If the United States wishes to combat the rise of an aggressive China and a renewed expansionist Russia, a solidification of the partnership with Japan is an absolute necessity. There are national security issues at stake here, not merely economic ones. Further, if the U.S. wishes to truly pursue the creation of a League of Democracies, what better springboard to do this from than a series of free trade agreements with our democratic allies. The liberalization of trade is a fundamental of the free market system, making it a bedrock of political democracy. The Free Trade Agreement with Japan can serve our economic, military, diplomatic and core values in one fell swoop. The new administration’s push for “Amerippon” can demonstrate the kind of foreign policy dynamism this president will sorely need. Dr. Lamont Colucci, a former diplomat with the U.S. Department of State, is an assistant professor of politics and Government at Ripon College. By kind invitation of David Gauke MP, the Henry Jackson Society hosted a discussion with Dr. Lamont Colucci, author of ‘Crusading Realism: The Bush Doctrine and American Core Values After 9/11’ and National Security Studies Co-ordinator at Ripon College, in the House of Commons on 20th October. Dr. Colucci addressed the society on the Bush Doctrine in foreign policy during the Bush years, its historic roots in the United States, and the prospects for American foreign policy beyond the next election. It is an honour for me to be here today and I would like to thank the Henry Jackson Society for organising this. Much of this talk is based on my recent book, Crusading Realism. I would like to begin by asking you to picture yourself aboard a ship in the year 1630, sailing from Yarmouth, England to the colonies in America. On board the ship is John Winthrop and he delivered a sermon: ‘For we must consider that we shall be as a city upon a hill. The eyes of all people are upon us. So that if we shall deal falsely with our God in this work we have undertaken and so cause him to withdraw his present help from us, we shall be made a story and a byword throughout the world.’ This passage encapsulates my argument about the Bush doctrine. It is perhaps an odd beginning point for a discussion about national security policy; but it is the beginning point I make. The first quote is George W. Bush in his second inaugural speech and the second quote is from the Declaration of Independence. My fundamental argument is that the goal of the Bush doctrine is to return American foreign policy back to its roots. The United States’ foundational roots are to be found in natural law. The Bush doctrine creates a ‘zero-hour’ in American foreign policy, as it liberates the United States from past paradigms in American foreign policy. It argues that deterrence and containment cannot work against a transnational enemy that in effect represents a culture of death. In fact, containment and deterrence may well play into the hands of such a philosophy. To understand the roots of the Bush doctrine, we must talk briefly about international relations theory. There are three basic schools of thought: realism, liberalism and Marxism. For US foreign policy, the third one is not very relevant. The former two, however, represent the titanic battle in American foreign policy between so-called realists and liberals. Realism refers to foreign policy based on amorality. Liberalism takes the reverse view; that foreign policy should be driven by ethics and democracy promotion. Realists are comfortable with the use of force in the pursuit of national interests; liberalism shies away from the use of force unless it is a last resort. Looking at the Bush doctrine, it is clear it does not fit definitively into either category. The question is, therefore, ‘what is it’? I believe it should be categorised as a ‘crusading realism’. I believe that crusading realism deals with the moral bankruptcy of realism and the moral cowardice of liberalism. To understand the Bush doctrine, we must understand the Bush administration’s pre-9/11 policy. Was there a foreign policy philosophy that guided the Bush administration prior to the terrorist attacks? The answer, of course, is yes: it was guided by realists from the school of Henry Kissinger. Bush’s pre-9/11 foreign policy was often glibly characterised as ABC (Anything But Clinton); and Anything But Clinton was good. Although Bush’s pre-9/11 policy was predominantly realist in outlook, we did see glimmers of the Bush doctrine. In March 2001 at an NSC meeting, Bush stated that he wanted to ‘play offense’ with regard to al-Qaeda. In May 2001, Bush issued NSPD-5, where he ordered a broad review of American intelligence. On September 4, 2001, Bush ordered NSPD-9, which stated that the United States must seek to eliminate al-Qaeda. In 100 years, historians will wonder if 9/11 could have been prevented had NSPD-9 been issued earlier. The answer is that I do not know, but I doubt it. President Bush would have had to ask the American public in January or February of 2001, following a disputed election, to support a preventative war against a country that few Americans could find on a map, against a group few Americans had heard of, led by a man few Americans knew anything about. This would have been an impossibility. Could 9/11 have been prevented? Not during the beginning of the Bush administration, possibly during the Clinton administration. The Bush doctrine is divided into phases. The first phase is the reaction to 9/11 where Bush looks to deal with al-Qaeda and the Taliban in Afghanistan. This stage is characterised by rhetoric suggesting a black-and-white view of international politics – either you are with us or you are with the terrorists. The first dispute over the Bush doctrine within the administration was between two groups in the NSC: the serialists and the parallelists. The former group argued that the US should go after al-Qaeda solely in Afghanistan and then assess whether to intervene elsewhere; the latter argued that the US should pursue al-Qaeda in multiple places simultaneously. Richard Armitage and Colin Powell were both serialists, while Paul Wolfowitz and Donald Rumsfeld were both parallelists. Condi Rice played the role of umpire and the president ultimately makes the decision. As we know, he decided to support the parallelists. In October, the US began operations in Afghanistan. The second phase is the formalisation of the Bush doctrine, which occurred during the late period of 2001 and early period of 2002. It began with a reassessment of the Nuclear Posture Review and the 2002 State of the Union speech where Bush made use of the term ‘axis of evil’. The 2002 West Point speech emphasised pre-emption and in September 2002 the national security strategy was published, which discussed issues of democracy promotion and primacy. 9/11 signalled the emergence of a new security situation. Other writers have referred to this as the ‘toxic nexus’ involving rogue states, terrorist groups and WMD proliferation. This triumvirate presents a nightmare scenario for the United States. The potential interaction between these three factors is influential in the practical development of the Bush doctrine. There are four pillars to the Bush doctrine: prevention, pre-emption, primacy and democracy promotion. Pre-emption is nothing new: every state has used it and will continue to use it. The bold part to this is the decision to formally state it as a part of American strategy. However, this is the least controversial aspect of the four. The next pillar is prevention and refers to the eradication of a threat that is not immediate. Prevention is fuelled by the threat of WMD. Al-Qaeda has been trying to access a nuclear weapon since 1993. George Tenet believes that this is the number one threat faced by the West – nuclear weapons in the hands of al-Qaeda. He believes that this is an inevitable scenario. This fear provides the rationale for a policy of prevention. The third pillar is primacy, which dictates that if the US is to pursue the other three pillars of the Bush doctrine, it must uphold its status as the world’s only superpower. This goes back to the DPG written by Paul Wolfowitz in 1992 and the 1998 letter by PNAC. It is also translated into the 1421 military strategy which states that the United States must be able to fight multiple wars at the same time. The most radical and interesting pillar of the Bush doctrine is that of democracy promotion. The roots of democracy promotion go back to the beginning of the country. One can talk of the Puritans and the Founding Fathers. A key question is does President Bush really believe in this pillar of the Bush doctrine and in interviewing key administration figures it became clear that he does. Those who hate the Bush doctrine do not argue that Bush does not believe this. Brent Scowcroft, for example, would argue that this is the problem; that Bush believes in it so much. Natan Sharansky and his book, The Case for Democracy, influenced Bush’s views on democracy promotion. Bush’s belief in the universal nature of democratic values is heartfelt. He believes in the ‘non-negotiable demands of human liberty and human dignity.’ This returns the US to the natural law of the 17th and 18th centuries. It would be problematic for the next American president, whether it is Barack Obama or John McCain, to go against the philosophy of the Republic. Certainly they could alter the implementation of policies. During the third presidential debate both candidates danced around the subject of the Colombian free trade agreement. Not only economics, but also security and foreign policy issues are at stake over the Colombia free trade agreement. If it were abandoned, it would be disastrous for the United States. Is there a way to sabotage the Bush doctrine through implementing specific policies? I definitively think so. The rhetoric will remain the same, but certain policies may change. The problem ultimately in Iran is that democracy and civil society in that country are a window dressing. Iran is a mullocracy in which Ayatollah Khomeini pulls the strings. Iran is a theocratic, authoritarian society which does not grant its own people its own version of democracy. For the United States to dignify the regime with formal relations would not be proper. The Iranians must make concessions first. It is the Iranian regime that is causing the fundamental problems concerning nuclear weapons and they are the number one sponsor of terrorism. Once they stop their reprehensible behaviour, perhaps we can start low-level talks with the regime. One of the negative aspects of the American focus on the war on terror has been an ignorance in the electorate and parts of the American government regarding other important strategic issues that have not gone away. The ‘tunnel-vision’ focus on the Middle East has meant that the American electorate was shocked and surprised, for example, by Russia’s recent actions in Georgia. We have spent so much capital and time focusing on the war on terror that we have ignored other areas. If strategic planners are serious about maintaining American primacy, they cannot focus purely on countries such as Afghanistan and Iraq. I have been amazed by the lack of questions on national security in the US election. The US media have almost entirely ignored matters of foreign policy and security strategy. We have two problems: if we want to maintain primacy, we must deal with multiple issues such as Russia and China, as well as the Middle East; at the same time, we must reenergise the American public as to the security threats facing America. The issue of terrorism is essentially playing no role in the US election. The Bush administration has never stated that it does not want to be in-sync with international law. However, there is a recognition that some aspects of international law are counter-productive to the philosophy of the Bush doctrine. This conflict may produce philosophical and public policy problems if the US continues to pursue certain aspects of the Bush doctrine. The fundamental issue between the Bush doctrine and international law is that of state sovereignty. It is incorrect to accuse the Bush doctrine of being unilateralist: the Bush administration has always attempted to garner international allies and friends. The difference between the Clinton and Bush administrations is that Bush will not allow the coalition to determine the mission; instead, the mission determines the coalition. I would argue that if the Bush doctrine was called the American doctrine, it would be entirely acceptable. The ideals of liberty and democracy are core values in America. If it was repackaged as the American doctrine, it would receive an entirely different reaction. The possibility of the next American president to go against the strategy of the Bush doctrine is fantastical. Tactics may change, but the overall strategy will remain. Bush’s main legacy is that the philosophical foundations of the Bush doctrine will inform American national security policy into the future. The belief that allowing people a civil society with elections will drain the swamps of extremism in the Middle East will endure beyond the next election. I will finish with a quote from President Bush: ‘America’s vital interests and our deepest beliefs are now one. From the day of our founding, we have proclaimed that every man and woman on this earth has rights and dignity and matchless value because they bear the image of the Maker of heaven and earth.’ In this sense the Bush doctrine offers a sense of real hope concerning foreign policy philosophy and foreign policy architecture. Thank you very much. © 2009 The Henry Jackson Society, Project for Democratic Geopolitics. All rights reserved. Before George W Bush, the titanic battle in American foreign policy was between so-called realists and liberals. But the Bush doctrine does not fit definitively into either category. 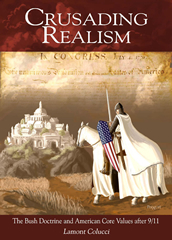 I believe it should be categorised as a “crusading realism” that deals with the moral bankruptcy of realism and the moral cowardice of liberalism. There are four pillars to that doctrine: prevention, pre-emption, primacy and democracy promotion. Pre-emption is nothing new: every state has used it and will continue to use it. It is the least controversial aspect of the four. The next pillar is prevention and refers to the eradication of a threat that is not immediate: that is, WMD, and al-Qa’ida’s attempts to access a nuclear weapon. The third pillar is primacy, which dictates that if the US is to pursue the other three pillars of the Bush doctrine, it must uphold its status as the world’s only superpower. This is also translated into the military strategy which states that the United States must be able to fight multiple wars at the same time. The most radical and interesting pillar of the Bush doctrine is that of democracy promotion. The key question is: does President Bush really believe in it? In interviewing key administration figures, it became clear that he does. His belief in the universal nature of democratic values is heartfelt. He believes in the “non-negotiable demands of human liberty and human dignity”. This returns the US to the natural law of the 17th and 18th centuries. The possibility that the next American president will go against the Bush doctrine is fantastical. Tactics may change, but the overall strategy will remain. 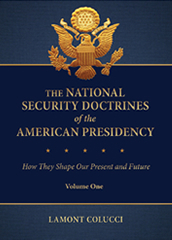 The philosophical foundations of the doctrine will inform American national security policy into the future. The belief that allowing people a civil society with elections will drain the swamps of extremism in the Middle East will endure beyond 2008. In January, North Korea demanded that the United States normalize relations before the North would abandon its nuclear weapons program. North Korea since has launched a multistage rocket, quit the six-party talks, restarted its nuclear reprocessing facility at Yongbyon, performed a second nuclear weapon test, test-fired two short-range missiles, announced its own version of the "reset button" by declaring the Korean War armistice over, and now plans to test launch an intercontinental ballistic missile. In this security context the United States should push for the free-trade agreement with South Korea, known as KORUS-FTA. In a prior column, this author discussed the necessity for a U.S.-Japan free-trade agreement, but that cannot occur while the agreement with our other East Asian ally languishes. The KORUS-FTA is the linchpin for any future Asian free-trade agreements. The agreement was signed by both nations in June 2007 and would eliminate tariffs on 95 percent of most goods and services. South Korea is the 10th-largest economy, our seventh-largest trading partner and our sixth-largest market for agricultural goods. A number of independent and government studies indicate that the KORUS-FTA would add $20 billion in bilateral trade, increase U.S. gross domestic product by up to $11.9 billion, and raise U.S. exports by 49 percent. On average, current American exports face higher tariffs in South Korea than the other way around. Although 70 percent of South Koreans believe it would promote friendly relations with the United States, there is great opposition by forces against free trade and various people in the new Obama administration. Secretary of State Hillary Rodham Clinton said, as a candidate for president, "While I value the strong relationship the United States enjoys with South Korea, I believe that this agreement is inherently unfair." There have been outstanding issues over items like U.S. beef exports, pharmaceuticals and products produced at Kaesong industrial complex. However, President Obama must reassure the world of his free-trade credentials. There is consternation in many capitals over perceived protectionist sentiment and its dubious partner, isolationism. This issue is another victim of the lack of media attention to international affairs. Aside from South Korea and Japan, the other democracy in Asia with which a free-trade agreement is needed is Taiwan. This agreement would seem easier, as Taiwan is not only our ninth-largest trading partner, but it also would provide an overall boost for U.S. manufacturing (Taiwan exports no automobiles), agriculture and especially the high-tech sector. As with South Korea, the stakes are high politically and diplomatically. Rejection of free-trade agreements with East Asia’s democracies run counter to American values and economic interest. Bolstering free trade with Japan, South Korea and Taiwan sends a message of solidarity, stability and commitment. It is also a warning to potential aggressors. The negative outcomes of a KORUS rejection are legion and would send an ominous statement to Tokyo and Taipei. It will prove the unreliability of American diplomatic commitments to a political and military ally, which has risked much domestically in pushing for the agreement. Rejection would play into the hands of the expansionists in Moscow and Beijing who seek to diminish our influence in the entire Pacific. There will be a chilling effect with other countries that plan to seek a free-trade agreement with the United States as this entire scene of political theater plays into the hands of the propagandists in Pyongyang. There is more at stake here than an economic agreement; there is our entire presence in the Pacific. Lamont Colucci is a former State Department diplomat and is an assistant professor of politics and government at Ripon College in Wisconsin. He recently published a book titled "Crusading Realism: The Bush Doctrine and American Core Values After 9/11," and is a contributing author of "The Day That Changed Everything: Looking at the Impact of 9/11 at the End of the Decade."